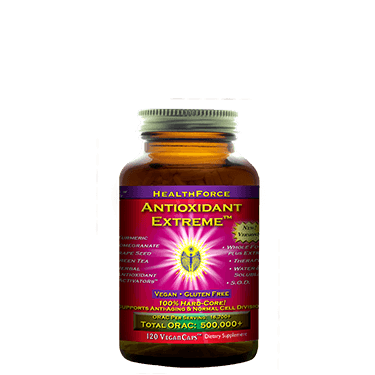 Ultimate Antioxidant Extreme with Acai has been called the most deeply effective and highest ORAC (oxygen radical absorbance capacity) antioxidant product available today. 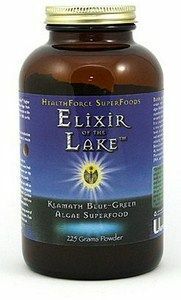 One of the most important ways to maintain health is to neutralize free radicals. One way to do that is to increase intake of foods high in ORAC value and supplementation. We hear a lot these days about ORAC values of foods and supplements and how important they are to fighting disease and restoring optimal health. 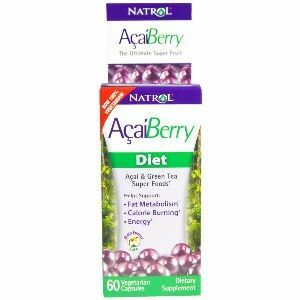 This formula is perfect for those looking to cleanse and detox the system providing a clean path to weight loss. 4 VeganCaps per day. 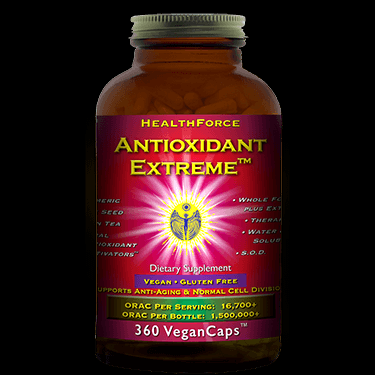 Just 2 VeganCap is extremely beneficial and far more potent than other products. Suggested adjuncts:A whole food, organic, Vegan diet, with emphasis on high - water content raw foods, lots of fresh vegetables, fruits and their freshly made juices; a high fiber diet (only whole plant foods have fiber); HealthForce Vitamineral Green; (a unique and extremely dense superfood complex for comprehensive nutritional support, Liver Rescue III+; exercise (try rebounding! ); and fresh air. Remember that house plants clean the inside air we breathe!